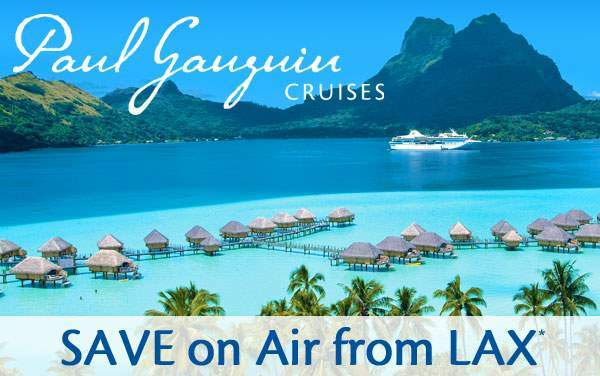 No matter what stateroom you choose, you’ll have a beautiful experience on your Paul Gauguin cruise where the most amazing landscapes of the world are literally right out your window. 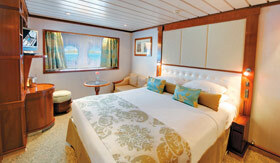 From Owner’s Suites to Oceanview staterooms, there’s something for everyone aboard Paul Gauguin Cruises. 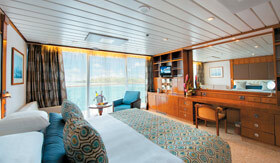 Spread out in luxury in one of Paul Gauguin Cruises’ Owner’s Suites. Here you’ll have wonderful views and even your own living room where you can sit with fellow passengers and enjoy a glass of wine before dinner. In the Grand Suite, you can sit down in front of your vanity when you get ready for the day, or spend your first waking moments on your balcony greeting the unbelievable landscape. 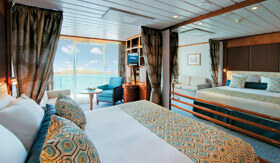 No matter what you do, you’ll find yourself at home in this suite. 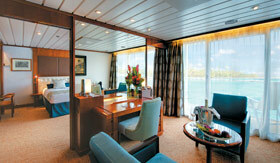 Indulge in butler service when you stay in one of Paul Gauguin Cruises’ Veranda Suites. The butlers are waiting to unpack your luggage, make reservations for you and arrange for the celebration of a special occasion onboard. 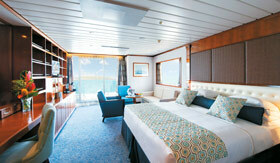 Enjoy the beauty of the natural world when you choose to sail in a Veranda Stateroom. 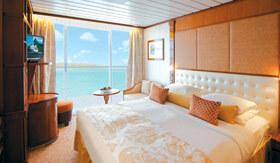 Morning, noon and night you’ll be mesmerized by the view. 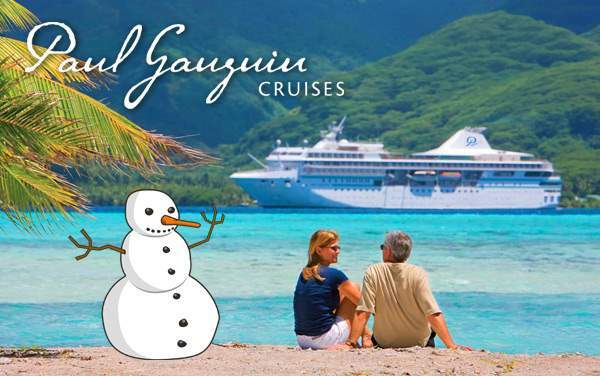 Paul Gauguin’s Balcony Staterooms are slightly smaller than the Veranda Staterooms, but you’ll still have incredible ocean views and plenty of space. Indulge in a therapeutic and warm bath before slipping into your robe and heading off to dreamland for the night in your luxurious ocean view stateroom.